Protein Supplements Side Effects - Is Protein Powder Bad for Kidneys? ToughTrain / Protein Supplements / Do you know that Protein Supplements Can Harm your Kidneys? Do you know that Protein Supplements Can Harm your Kidneys? 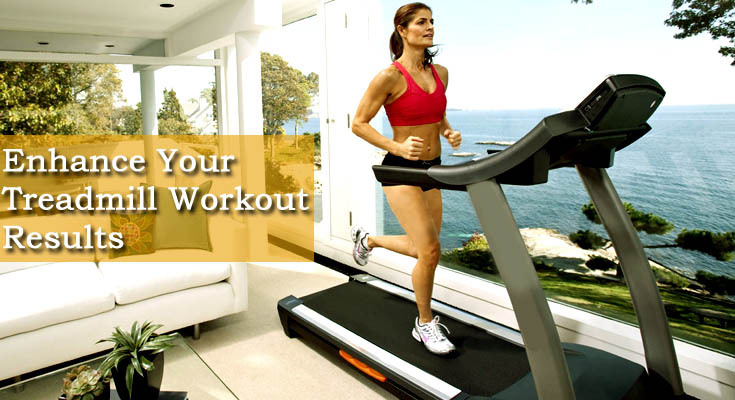 Everybody aspires to have a fit and muscular body. Both men and women yearn to flaunt figures just like their favorite celebrity. This is the reason we have a seen a surge in the number of people hitting the gym. One can achieve the body like Arnold Schwarzenegger by having a well-monitored exercise regimen and protein-rich diet. Proteins play a pivotal role in accelerating the muscle build-up and take care of the wear and tear of the cells. They have the potential to help achieve dietary goals, cut calories, lose body fat, and supplement a healthy diet or build lean muscle mass. Solid food products like eggs, meat, soy, and dairy are the best sources of protein. But gym and health freaks have special nutritional requirements, which can be met only with protein supplements. The protein brands available on the market are whey protein, casein protein, rice protein, hemp protein, egg, pea, and soy protein. These supplements should not be considered as meal replacements and should only be a part of a healthy and balanced diet. If consumed in excess these sources of carbohydrates, vitamins, and minerals could start having negative effects on the body and would damage the kidneys. Before we delve into the effects of protein supplements on kidneys, did you know that U.S. Food and Drug Administration has not approved or regulated protein powders? Because, not all shakes shelved in the market today have health-safe ingredients, and can increase the risk of severe health conditions. Strain the Kidneys: You might be aware that the kidneys filter toxic chemicals, including proteins, and ensures that all the harmful elements are thrown out of the body via urine. Unmonitored protein consumption, would make the kidneys work more in filtering your blood, and strain them. This would lead to long-term side effects. Kidney Stones: Overdose of protein supplements might increase the risk of kidney stones. Do you know how these stones develop? Well, they are formed due to crystallization of compounds in the kidney, and block the ureter, thus causing severe pain and trauma. In a study conducted by The University of Maryland Medical Center, it was stated that protein intake causes kidney stone formation. Thus, it is essential that protein intake is kept within a normal range to avoid stones. Minimal Kidney Functioning: Straining the kidneys would lead to diminished functioning. With time filtering of blood would be affected which would lead the nutrients to leak through urine. This is an adverse condition which would need urgent medical treatment. Upset Digestive System: Whey and Casein Proteins are milk-derived and hence are rich in lactose. Ones who are allergic to lactose would find it difficult to digest and suffer from abdominal pain, bloating, vomiting, and flatulence. Obesity: It might be surprising, but protein supplements can cause excess weight gain too. Remember that if your routine does not match your protein intake, the unutilized calories turn into fat. This fat when accumulated causes obesity. Brittle bones: Protein can weaken your bones! Meat derived protein products are highly acidic. Consumption of these could trigger blood acidity levels. To combat blood acidity, the body releases calcium and phosphate. These alkaline substances come from the bones; hence you lose bone mass when you go high on animal protein supplements, which renders the bones weak and brittle. Disturbed Blood Sugar Levels: You might love your protein supplements, but do you know that they are brimming with additives and artificial sweeteners, which trigger blood sugar levels. Though whey, soy and casein protein is known to bring down the blood sugar levels, people suffering from diabetes or low blood pressure need to be extra cautious before consuming. Severe Hair Loss: Hair is made up of a protein called Keratin. It does not make sense that you increase your protein intake and cut back on vitamins, fats, and carbohydrates. This might lead to heavy hair loss and balding. Hormonal imbalance: Soy-based proteins might lead to hormonal imbalance due to phytoestrogen. Because, phytoestrogen, when ingested acts like estrogen and can make the endocrine system go haywire. About 95% of soy used to make protein supplements is genetically modified and can trigger hormonal imbalance. While daidzein and genistein in the same protein supplement can cause erectile dysfunction, enlarged breasts in men and libido disorder. Liver Damage: Protein supplements with less or no carbs could push the body into ketosis state. In this state, the body fat is utilized as the source of energy causing a spike in blood acidity levels. This increase in blood acidity could have adverse effects on the liver and might cause damage. Heavy Metal Poisoning: Research published in 2010 revealed that protein powders contain metals such as arsenic, mercury, and cadmium. Prolonged consumption of protein supplements could make the blood toxic and make you feel sick. If you are experiencing exhaustion, throbbing muscles, aching joints, and digestive disorders seek medical help at the earliest. How can I avoid the side effects of Protein Supplements? Consult a health and nutrition specialist before taking any protein supplement. Decide the quantity considering your weight and body requirements. Read your protein supplement content carefully. Check for calories, fats, and carbohydrates. If you are using protein as a meal supplement, do not consume food after the protein shake. Eat a balanced diet along with your protein supplement. If you are facing problem digesting protein, immediately shift to other brand or take lactose-free rice, hemp or soy protein variants. Focus on consuming natural sources of high protein, i.e., eggs, chicken, nuts, legumes, fish, etc. Do you use protein supplements? Have you experienced any of these side effects? Do share with us in the comments section below. We will be happy to help!